By this time of year, we are all itching for spring. We’ve been driving in snow for four months already and drivers can become complacent to safe winter driving practices. Don’t be caught off guard. Eric is here to help you brush up on winter driving tips just in time for March, the snowiest month of the year. Eric: Hey everybody, this is Eric with Hanlon and Associates. 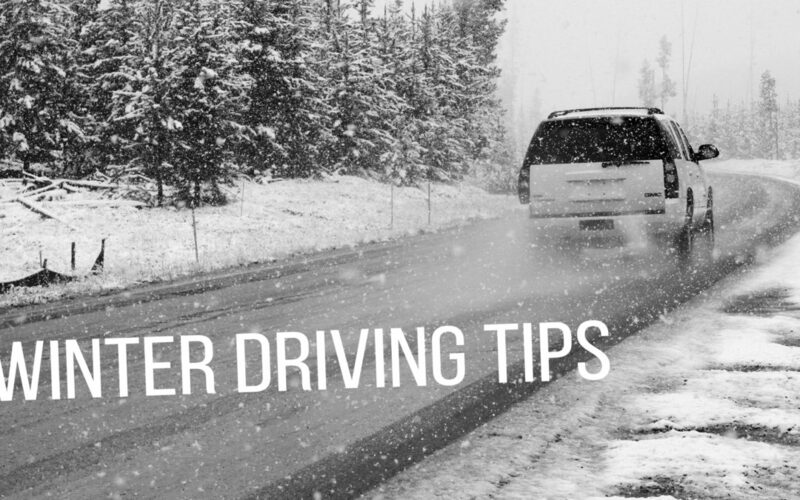 With all the snow we got last night, we thought it’d be a good idea to give you guys some winter driving tips. My drive in was a little slick, so hopefully this helps some of you out there. Prepare your vehicle – make sure you have air in your tires. Make sure you have windshield wiper fluid, antifreeze, coolant. Those are the things you can do on a daily basis to make sure your vehicle is ready for winter driving. The second part is Protect. Make sure you buckle up and your children are in car seats. If you have kids that are 12 or under, they’re probably more safe in the back seat. Prevent – anything you can do to prevent a crash. Keep your eyes out for pedestrians. A lot of time in the winter, people have big hoods on, parkas, things where they might be able to see you when they’re crossing the street. So keep your eyes out, make sure everybody stays safe.